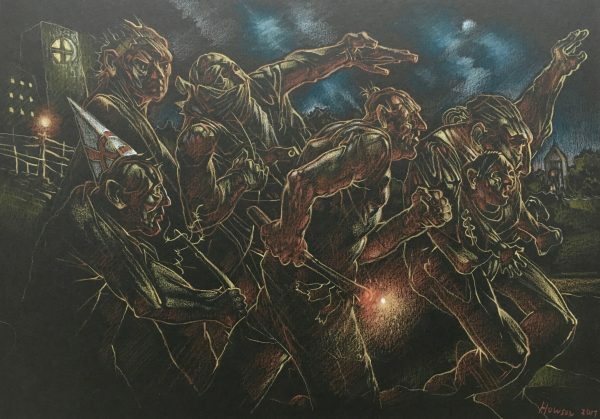 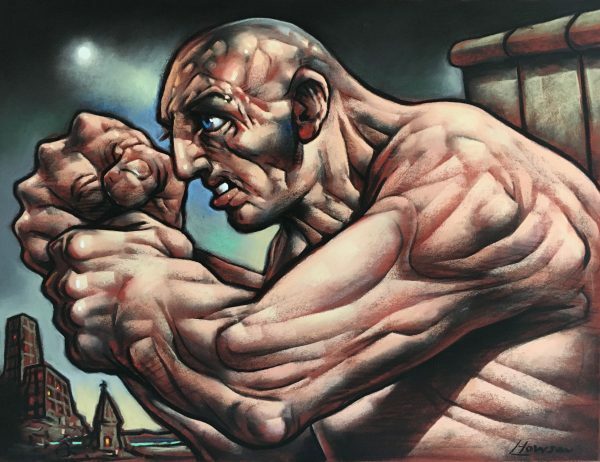 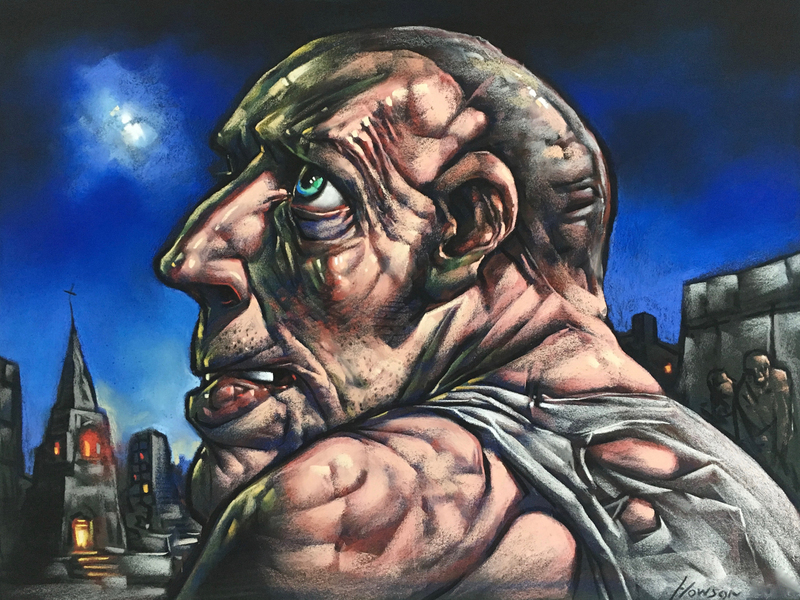 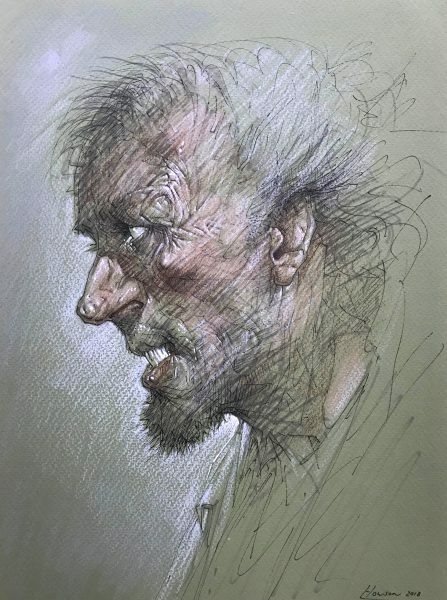 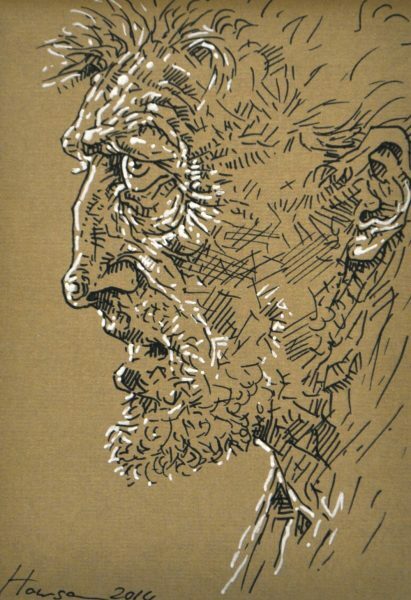 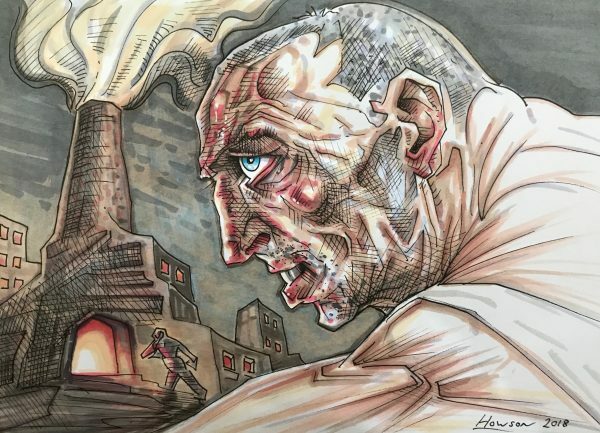 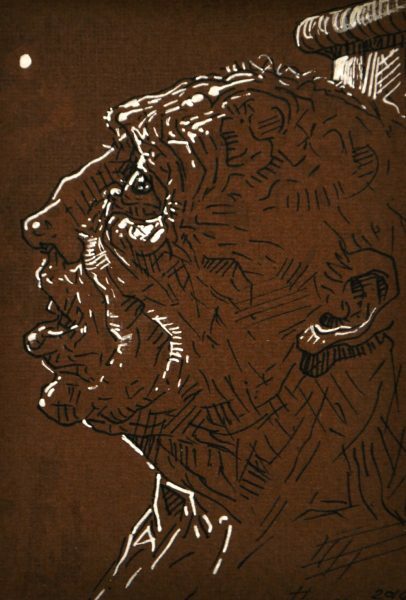 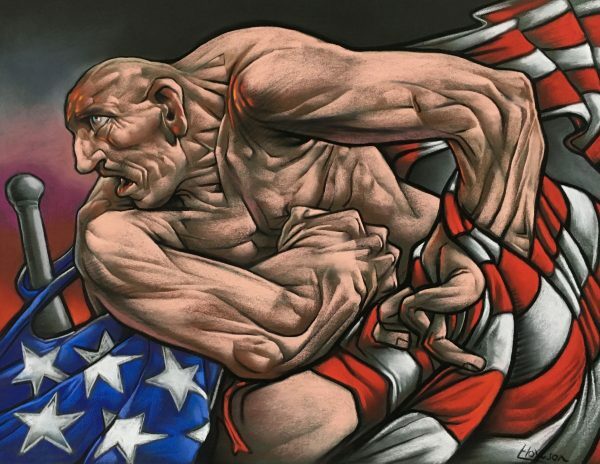 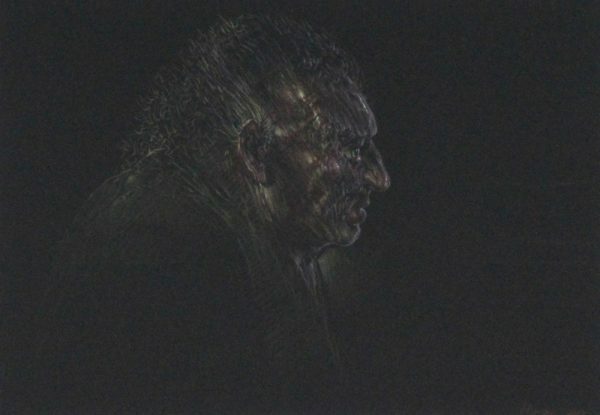 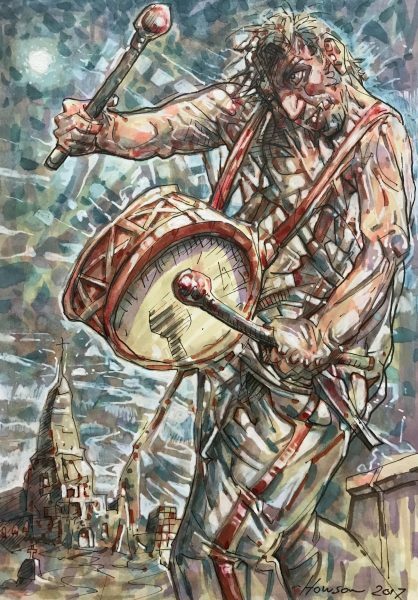 Peter Howson was born in London in 1958 and moved to his adopted Scotland in 1962. 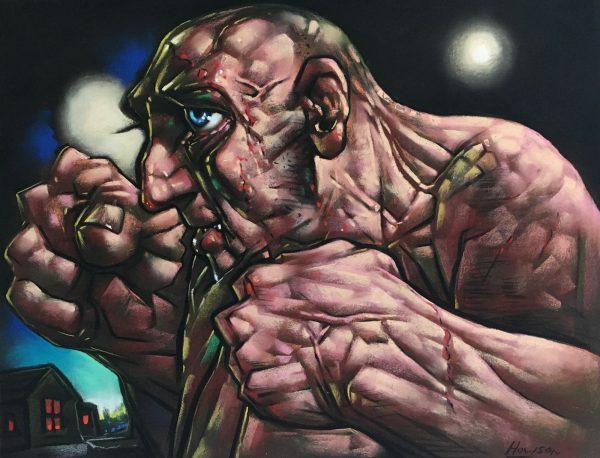 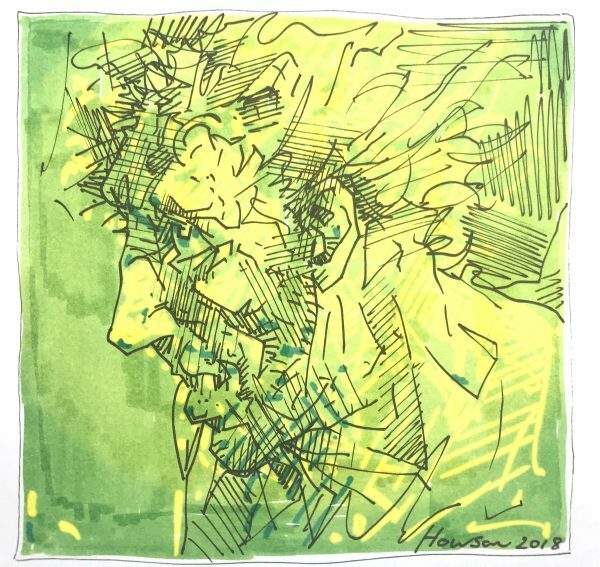 Howson made his name with large format paintings showing massive, predominantly male figures portrayed in a bold, muscular style that used line and colour to powerful, expressive effect. 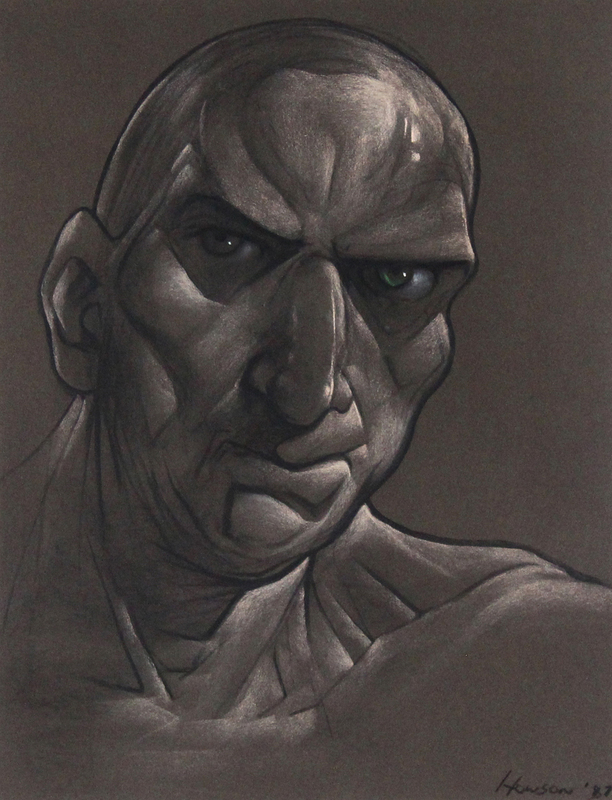 The almost grotesque form of his overly-developed bodies was to become the focus of much of Howson’s most lauded work.